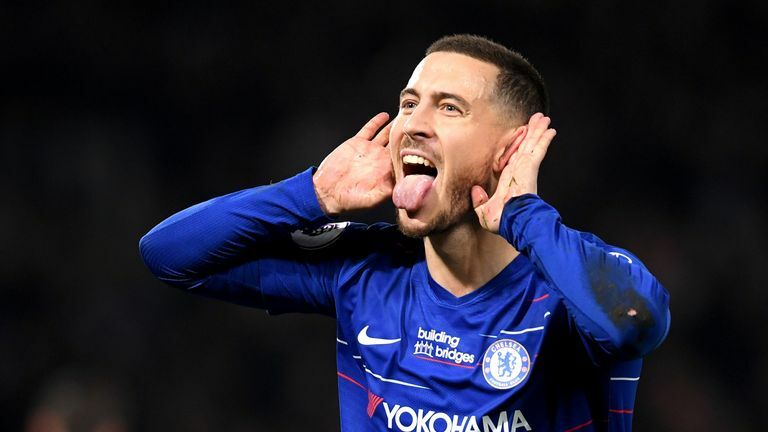 Chelsea can benefit from the sale of Eden Hazard this summer, says The Times' chief sports writer Matt Dickinson, but they must spend the money wisely. Hazard has one year left on his contract at Chelsea and has been strongly linked with a move away from Stamford Bridge this summer, with Real Madrid looking his most likely destination. The Belgian winger has been one of the Premier League's standout performers this season, but Dickinson believes the sale can be a positive for Chelsea. "We've seen it with (Luis) Suarez before, with (Philippe) Coutinho and Liverpool, they've done really well out of the money they've recouped," he told the Sunday Supplement. "That's the best thing you can do, get the huge fee and spend it wisely." It is speculated Chelsea are looking for around £100m from the sale of Hazard, with Madrid seeking a lower fee and Matt Law of The Telegraph thinks negotiations are already underway. "They've certainly made contact, I think negotiations are well on the way," he said. "They're at two different places with figures. Chelsea want at least 100m, if not more. "I think Madrid don't want to pay more than what they paid for (Gareth) Bale, around £85m. "Hazard is desperate to go, desperate not to sign a new contract. Even if Chelsea said 'no' all summer they know he won't sign a new contract and they'll lose him on a free. "I think Madrid want it done pretty quickly, I can see him getting the move by the start of the summer."